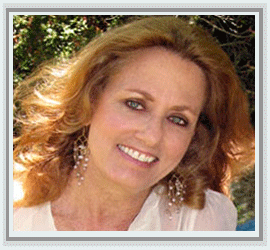 Karen Sperling is an author and filmmaker who has written published novels and numerous screenplays. While living and working in New York City, shewas the first woman to write, produce and direct feature length films that were shown and received awards at the Atlanta, Cannes, Venice and London Film Festivals. Her second feature film was the first to hire an entire crew of women. She has also adapted and written original screenplays for feature films, as well as an original musical about the life and times of a Spiritualist who ran for President of the United States and fought for equal rights at the turn of the Century. Karen co-wrote two educational novels about the medical profession, published by Doubleday. As a Cancer Patient Advocate, Ms Sperling lectured extensively on doctor-patient relationships, encouraging better ways for doctors to communicate with patients in crisis. She also helped to build several health centers for the learning, treatment and support of women with breast cancer. She was the designer and coordinator of “The Story Project” for RKO Pictures, a literacy program, mentoring story telling and writing for inner city youth at the Boys and Girls Clubs of America and a board member of New Visions Foundation, New Roads Schools for diversity in Los Angeles Schools. She continues to participate in outreach programs to encourage young people to be actively involved in education, the arts, ecological issues and raising conscious awareness for those in need. Due to an ongoing interest in metaphysics and psychology, with a deep love for children and their individual creative process, Karen has written this collection of tales of enchantment that take young readers on adventures through the magical world of dreams and transformation. While wanting to offer children her stories, she also wished to invite young people to participate in using their own imaginations. She has conceived “Invitational Books” to encourage children to use their own images and words by helping to illustrate these delightful books and to write their own stories. Karen was born in Los Angeles, graduated Brandeis University in Child Psychology and is currently living in Los Angeles. She is a mother to some and grandmother of many. She is a member of an interfaith community that serves the homeless and families with AIDS and is a musician in a Street Jam Band. To help those with physical and emotional concerns, she was trained and certified in the healing art of Bioenergy and energy medicine, a holistic healing process to assist clients in self-healing and has a private practice in Los Angeles.